Fruits make up a significant part of the diet of many bird species. In this GOS publication, biologists Jim Ferrari and Jerry Payne document the use of fruit by Georgia birds and explore the ecological connections between birds and fruit-bearing plants. A major portion of the book lists the kinds of fruits eaten by Georgia birds (organized by bird species and also by plant species), based on a literature review as well as hundreds of original observations by the authors. The book also delves into the questions of invasive plants, the seasonality of fruit production and bird migration, recommendations for homeowners, and geographical patterns of fruit-eating birds across Georgia. With its wealth of new data and ideas, this publication will be appreciated by scientists and non-specialists alike and is relevant to readers far beyond the boundaries of the state. The book is 88 pages, 6 x 9 inches. Birders take note: your sighting records for a single county can provide important information to ornithologists and other birders. It’s worth the effort to keep them, organize them, and put them between covers! Just ask Michael. 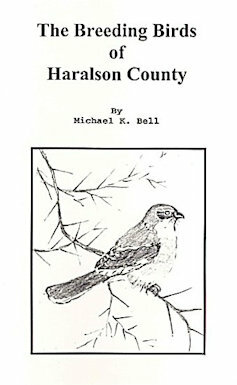 His intensive surveys on behalf of Georgia’s Breeding Bird Atlas project in 1999 led to the writing of this fine book, which details breeding or probable breeding records for 94 species in Haralson County. Kennesaw Mountain is one of the premiere magnets for birders during migration. Giff Beaton's latest book covers 12 years of almost daily migration birding at this highly important stopover site for migrants in Georgia. This reference, written by one of the state’s top birders, belongs on your shelf! 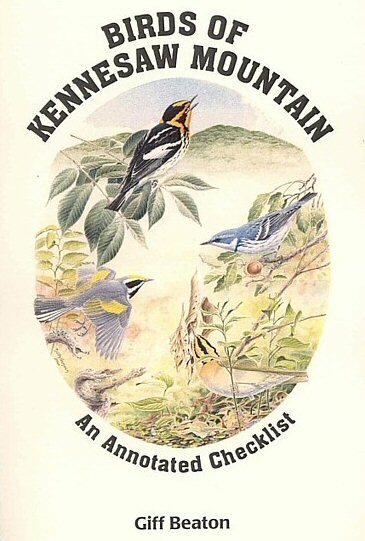 Birds of Kennesaw Mountain is 150 spiral bound pages, 8.5 x 5.5 inches in size. Birds of Laurens County is authored by long time GOS member and former president, Tommy Patterson. Tommy became an active birder somewhat later than many when he began to accompany his son Hunter over thirty years ago. After joining GOS in 1974 Tommy was encouraged and inspired by Dr. J. Fred Denton to keep records of his sightings in Dublin and nearby areas. What resulted is best described by the following quote from the book’s Foreword by Giff Beaton. “He sought out and identified some good areas of diverse habitat, created an interesting route to follow, and then proceeded to bird this area at least twice a week for almost 30 years! He not only ran the route but kept impeccable records.” His book conveys in a very readable manner data describing birdlife in this Middle Georgia area. He was also generous with his time by serving GOS in a variety of Executive Committee posts including a two year term as president at the time of our 50th anniversary meeting in Macon. Birds of Laurens County is 96 pages, 6x 9 inches in size. 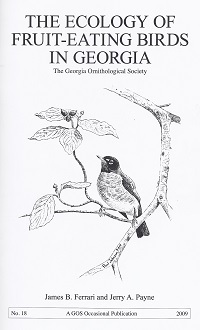 This fifth edition of the "ACOGB" was painstakingly and thoroughly researched by the Checklist and Records Committee incorporating information in the species accounts from many sources including the Breeding Bird Atlas project, Christmas Bird and Breeding Bird Census, The Oriole (67 years) and the records of the Checklist Committee itself. Virtually every species is now tied to a museum specimen, photo or other definitive record. The manuscript was brought to completion by Giff Beaton with Paul Sykes and Dr. John Parrish. It provides comprehensive detail of range, status and dates of occurrence for 446 species of which 407 are now accepted on the Regular Species List. 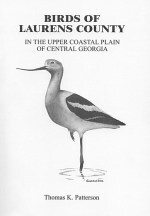 The Annotated Checklist of Georgia Birds is 156 pp., 7x10 in. & spiral bound. 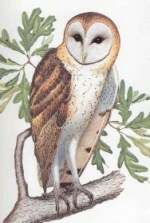 This index contains all references made to Georgia birdlife in Audubon Field Notes and American Birds from 1947 - 1983. Each species is listed in taxonomic order (AOU 6th edition) and contains volume and page numbers for quick access to information in those publications. The volume and page entries are characterized as "absent" if the reference indicated as such. 376 species are listed. Even the "Changing Seasons" column was scrubbed for information concerning Georgia birds. Considering that Audubon Field Notes and American Birds were not (and still are not) available in electronic format, an enormous amount of effort must have gone into gathering this information. The most up-to-date guide available for birding in Georgia. Birding Georgia is published by Falcon Publishing, and is available through the GOS. The guide contains descriptions of over 100 locations, and includes maps and directions, what to look for, and how to bird each location. It also contains a section on where to find the more uncommon species in the state. Bar graphs representing species distribution and seasonal occurrence in the four major areas of the state are included. This book is no longer available through the GOS.